← Let Me Explain How I Got Scammed Out of $1,000! Who exactly is talking about ‘race’ here, huh! Oh, well, the Celts ain’t exactly terribly impressive, talking in relative terms. I love the Welsh girls though. Dark hair, glowing skin, lovely eyes and those ‘curves’…….my Gaawwd! 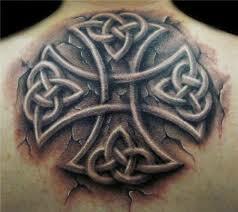 I’m a Malaysian and I would love to have a Celtic tattoo. Celtic culture and tradition has always fascinated me since young. Thank you for sharing this information, and you’re right, it is not simple to find a tattoo artist who can do a Celtic designed tattoo. I’ve asked around some famous tattoo places in my country, though there are artists who can do these designs, it can get really costly, at least over here it is.